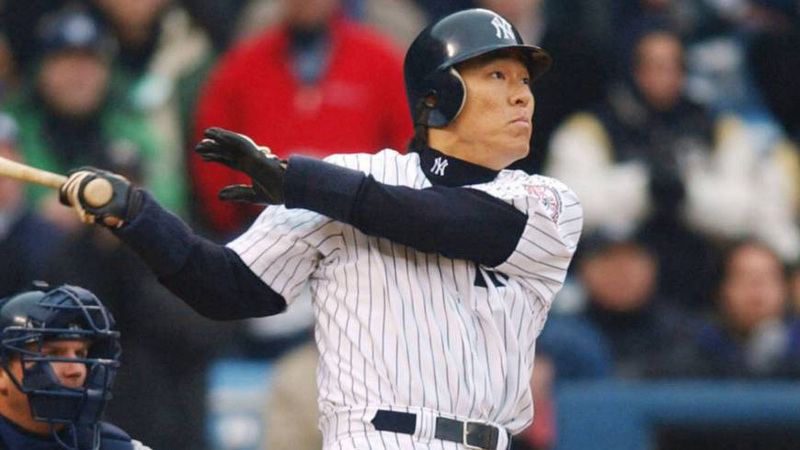 Why did Matsui pick Yankees over Giants? Former Yomiuri Giants star Hideki Matsui made news earlier this month with his decision to take a job with the New York Yankees. The move was seen as a curious one here for several reasons. 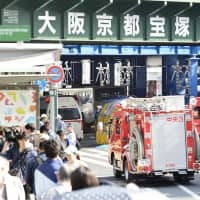 In an effort to try and solve this riddle, I spoke with several people connected with NPB and MLB to get their thoughts on the matter. In the process I obtained some very interesting insight into Matsui’s possible logic for the move. All of those I contacted had a very high opinion of the Ishikawa Prefecture native, who spent 10 years with the Giants before signing with the Yankees in 2002 and playing seven seasons in the Bronx. Matsui seems to be universally revered by fans, media and his former teammates. Matsui’s new role will see him work on hitting with managers, coaches and players in the farm system of the Yankees. “When you have a player of his caliber, who always did it the right way, you want him around,” said Yankees manager Joe Girardi when Matsui was hired. Now 40 and married with a child, Matsui has kept a relatively low profile since retiring from the majors in 2012. By taking the job as a special adviser to Yankees GM Brian Cashman, Matsui has begun his return to the spotlight, though in a low-key way. 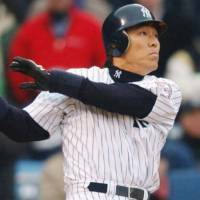 Whiting, who penned the classic “You Gotta Have Wa,” pointed out that the Yankees have been pursuing a relationship with Matsui, the MVP of the 2009 World Series, for quite a while. 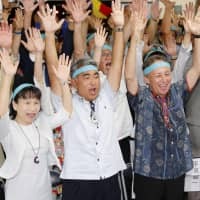 All of the people I talked with mentioned Matsui essentially being offered the chance to manage the Giants by Yomiuri boss Tsuneo Watanabe back in 2013 when Matsui and Shigeo Nagashima were given the People’s Honor Award by Prime Minister Shinzo Abe. “I am not sure Hideki wants the Giants managerial job,” Whiting commented. “I think he was roped into agreeing to it. The view here is that Nagashima likely advised Matsui to consider the offer to manage the Giants very carefully. Nagashima, the icon who retired as a player in 1974 and immediately became the team’s manager, had a less than successful first tenure piloting the club. He managed the Giants for six seasons before being fired in 1980. A longtime former NPB team executive feels that Matsui knows leading the storied franchise would be a heavy burden to bear. Even though it has been more than 12 years since Matsui last suited up for the Giants, the executive believes the slugger still feels a since of duty and obligation to his old team. The executive, who worked for a team other than the Giants, had an interesting take on the honor that Matsui received along with Nagashima. “Let’s be honest. He didn’t deserve the national award,” said the executive. “Matsui is a legend. He was a great player. He was the MVP of the World Series. But what records does he hold? The executive thinks Matsui wants to get some seasoning first before even considering managing the Giants. 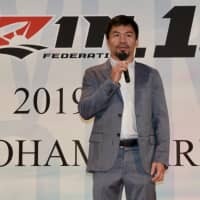 Longtime MLB analyst Fumihiro Fujisawa, who is the president of the Association of American Baseball Research, believes family issues may have played a part in Matsui taking the position with the Yankees. “I guess he likes the USA, especially New York, and he wants to bring his child up there,” said Fujisawa. “Daisuke Matsuzaka came back to Japan (to play for the Fukuoka Softbank Hawks) this year, but his wife and child remained in the USA. I hear that she wants to raise their child in Boston — a very good place for education. “It has been reported that Matsui will be appointed the next manager of the Yomiuri Giants sooner or later, but I think he is a little bit reluctant to accept the offer,” stated Fujisawa. One source told me that the link between Matsui and the Giants may not be as tight as has been portrayed by the media. “I have heard that the relationship between Matsui and the Giants was not so good. But I have a feeling that it has become better with the presence of Nagashima,” the source said. Whiting, who also wrote “The Meaning of Ichiro,” believes Matsui is carefully plotting his course for the future and could very well end up in the Yomiuri dugout someday. “I don’t think Hideki knows what he wants to do yet,” Whiting said. “There is a possibility he could be a coach in MLB, but he wants to speak better English before he does that. Based on Matsui’s admirable work ethic and enduring popularity, it’s hard to envision him not being successful in any baseball endeavor.